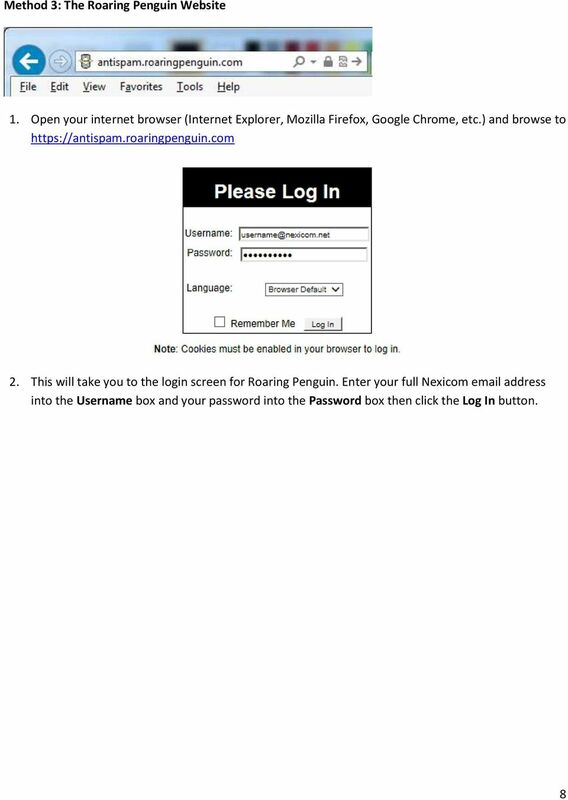 Download "Roaring Penguin User Guide"
Using Barracuda Spam Firewall Creating your Barracuda account Your Barracuda account has been created for you if you are a current Hartwick College student, staff or faculty member. 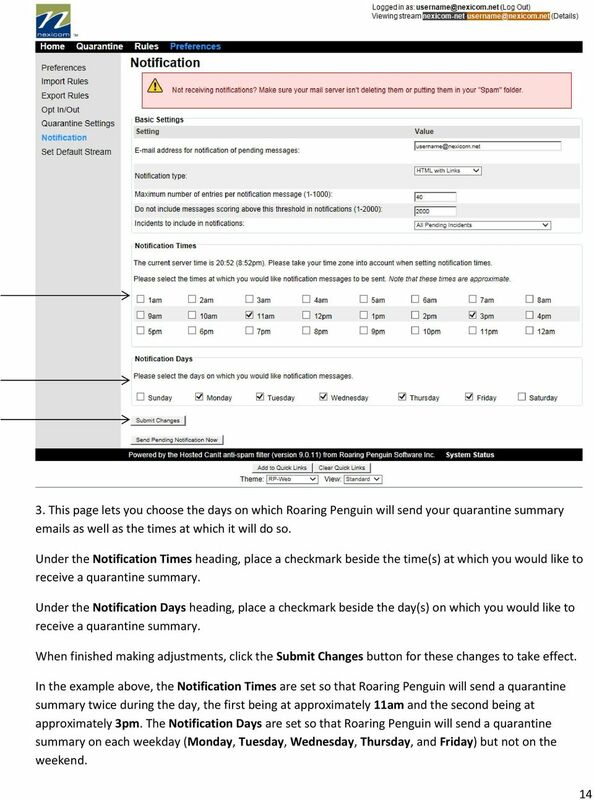 Setting Your Password. 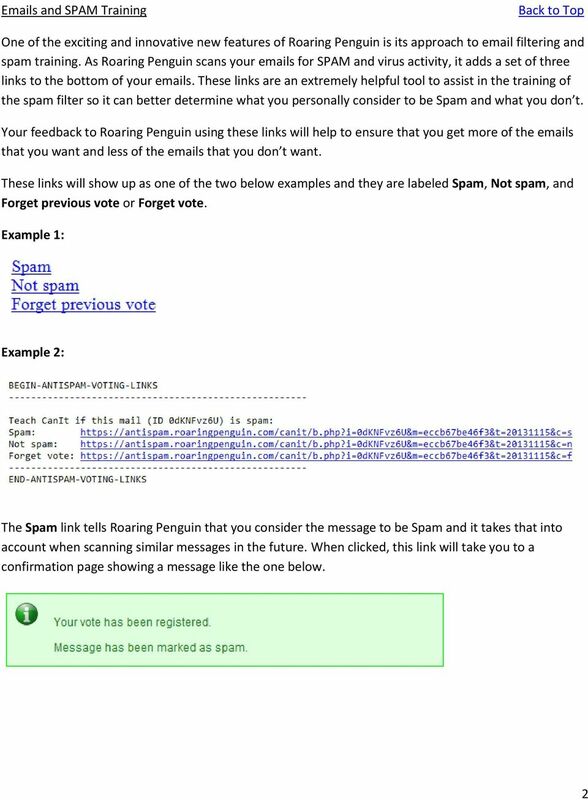 How does the Excalibur Technology SPAM & Virus Protection System work? Version 3.x. 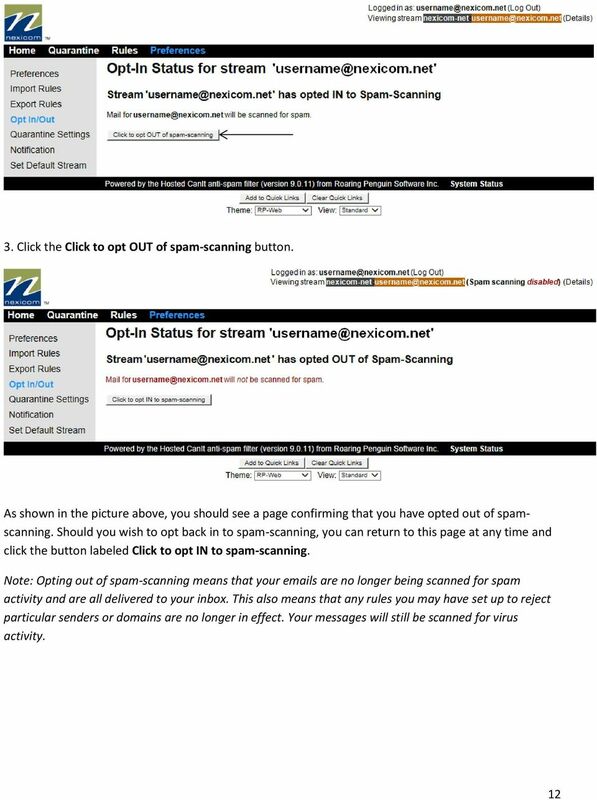 Barracuda Spam & Virus Firewall User s Guide. Barracuda Networks Inc. 3175 S. Winchester Blvd Campbell, CA 95008 http://www.barracuda. 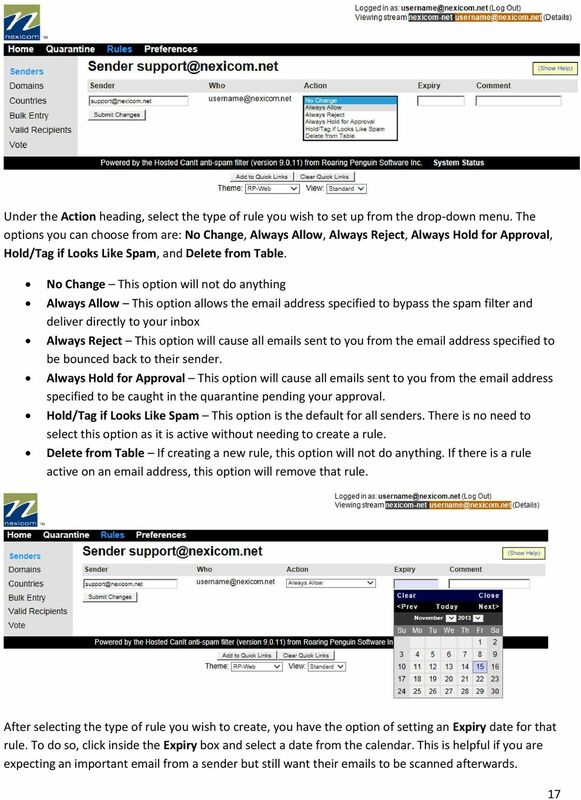 IT Email Services page 1 of 10 Overview Comcast Spectacor has implemented a system to control unwanted Internet email (spam) from the Internet. 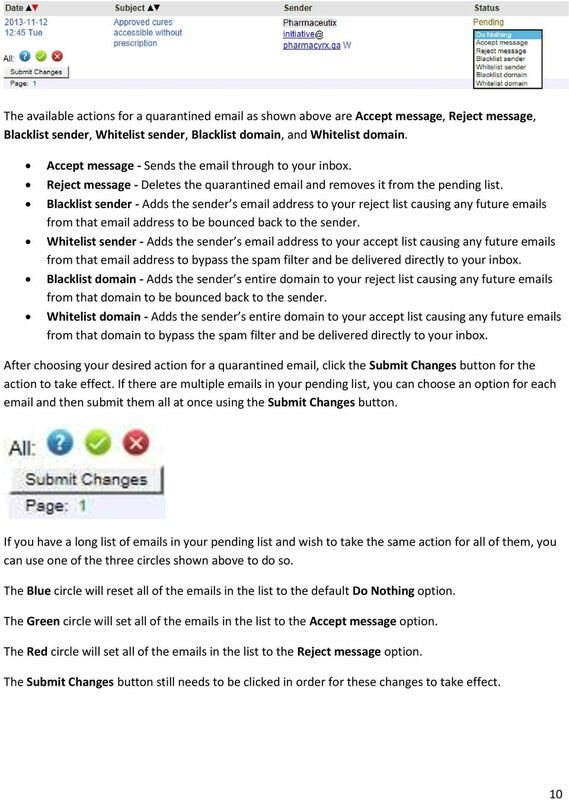 Virus emails and some known spam will be filtered automatically. 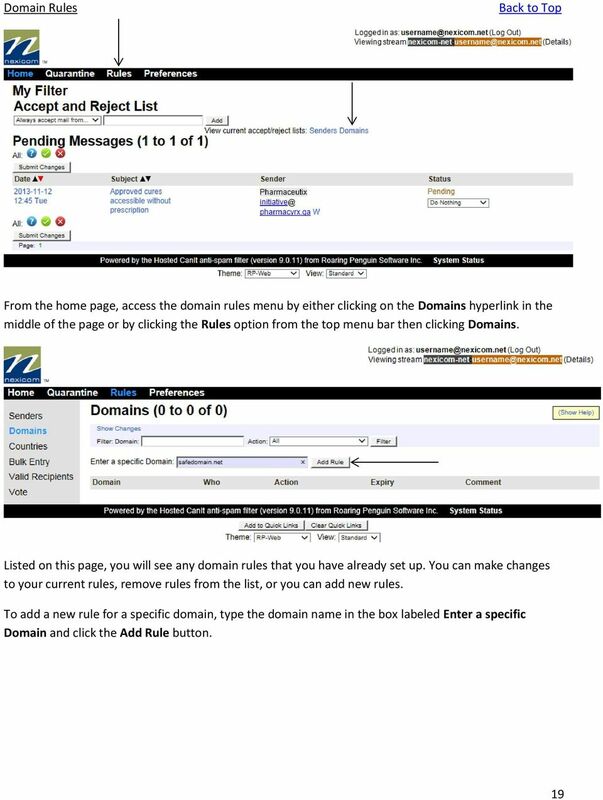 Apps4Rent Hosted Exchange Spam Management Interface Guide. Version 5.x. 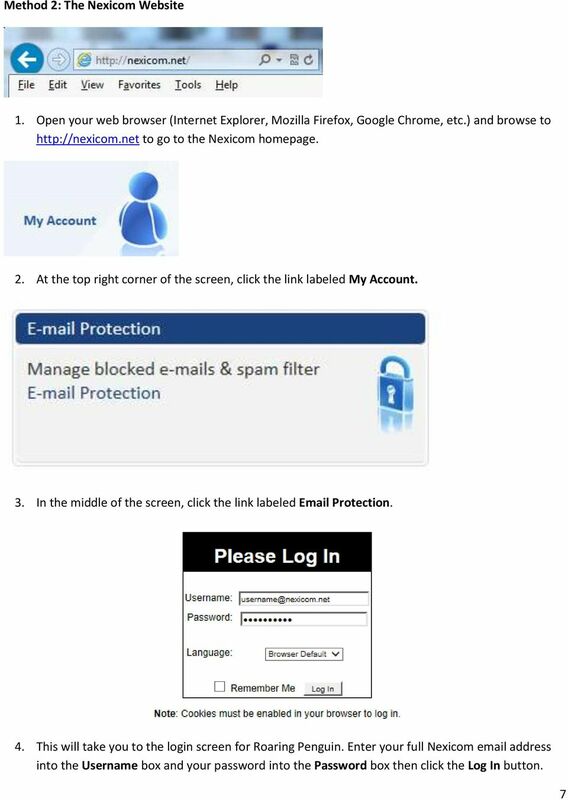 Barracuda Spam & Virus Firewall User s Guide. Barracuda Networks Inc. 3175 S. Winchester Blvd Campbell, CA 95008 http://www.barracuda. 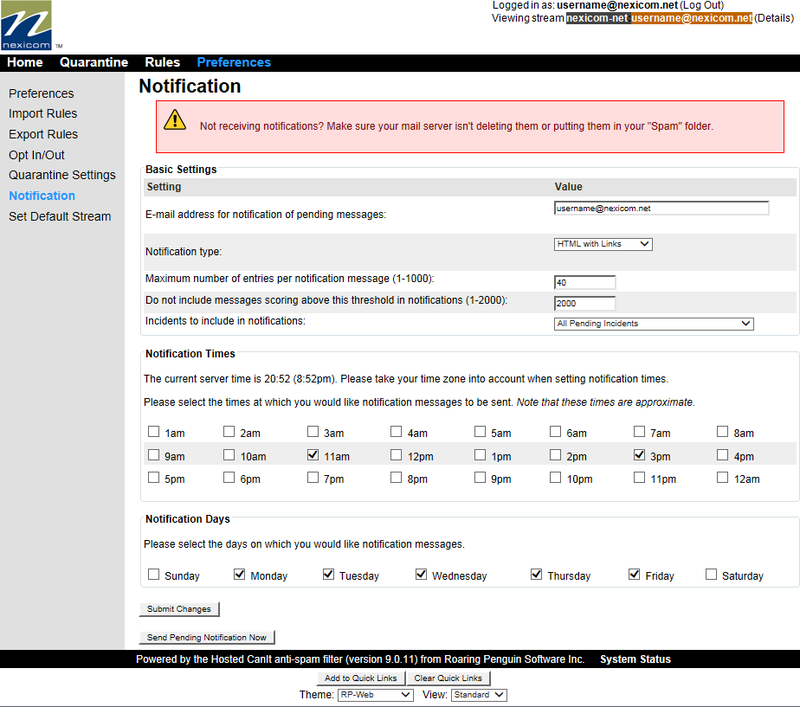 ConnectWise Total Control: Managed Email Threat Protection Version: 1.5 Creation Date: 11-September-2009 Last Updated: 24-August-2012 LOGGING IN An e-mail will be or has sent with your username and password. 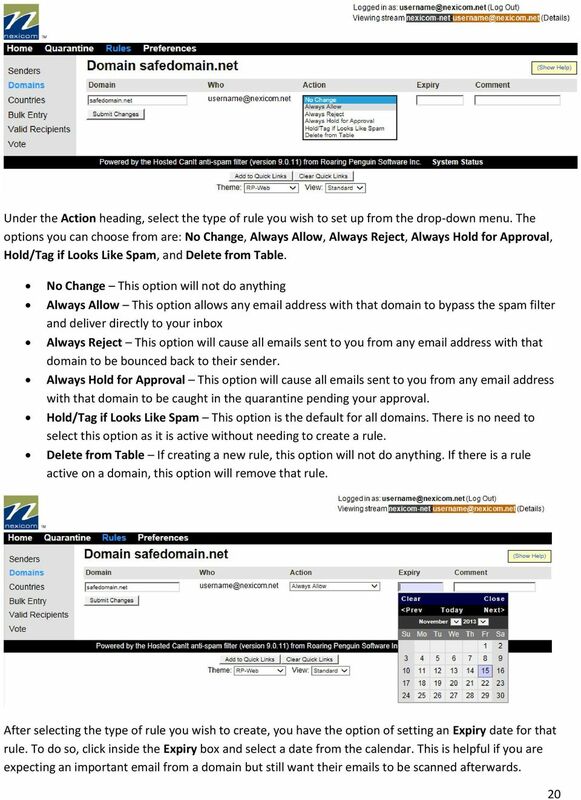 The Institute of Education Spam filter service allows you to take control of your spam filtering. 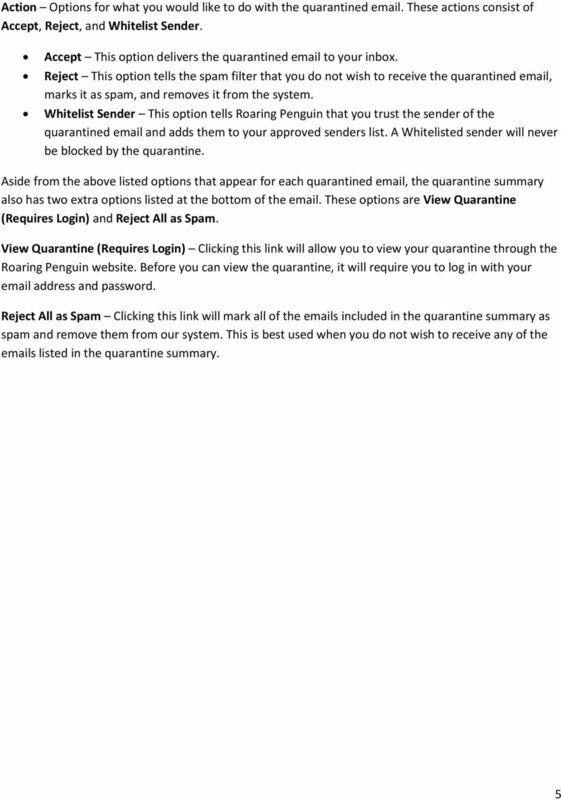 Using McAfee Quarantine Manager McAfee Quarantine Manager provides a central point for users to analyze and act upon emails that have been quarantined because they have been identified as potential Spam. Introduction. 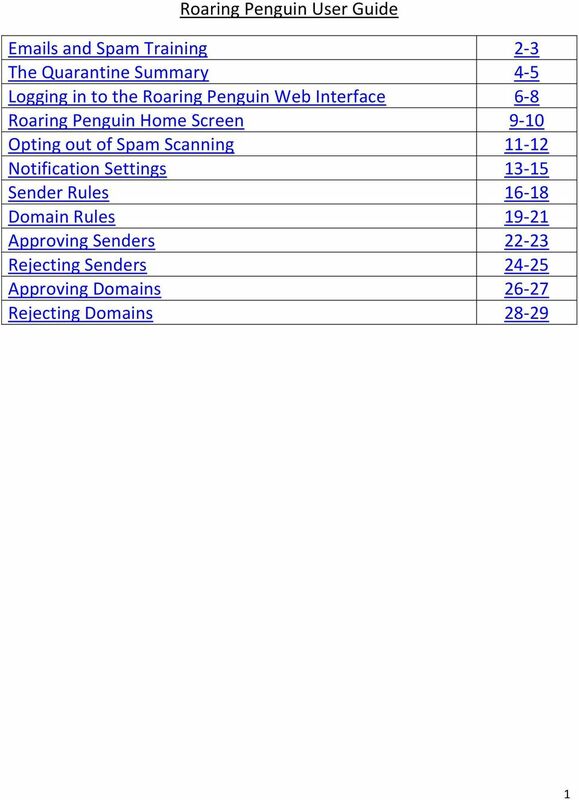 How does email filtering work? 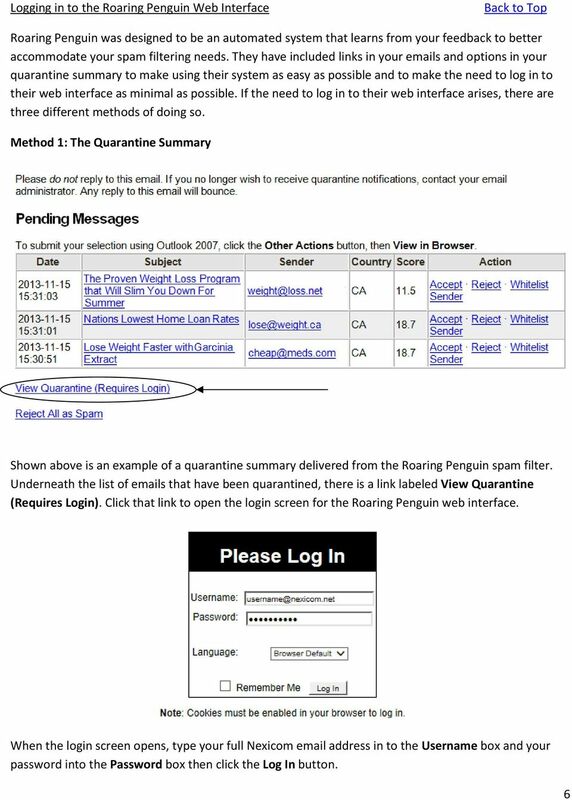 What is the Quarantine? What is an End User Digest? 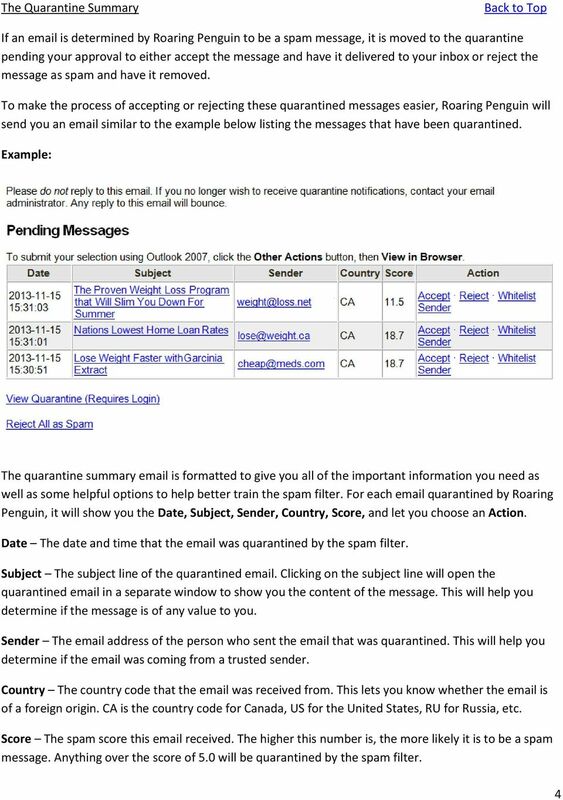 Introduction The purpose of this memo is to explain how the email that originates from outside this organization is processed, and to describe the tools that you can use to manage your personal spam quarantine. 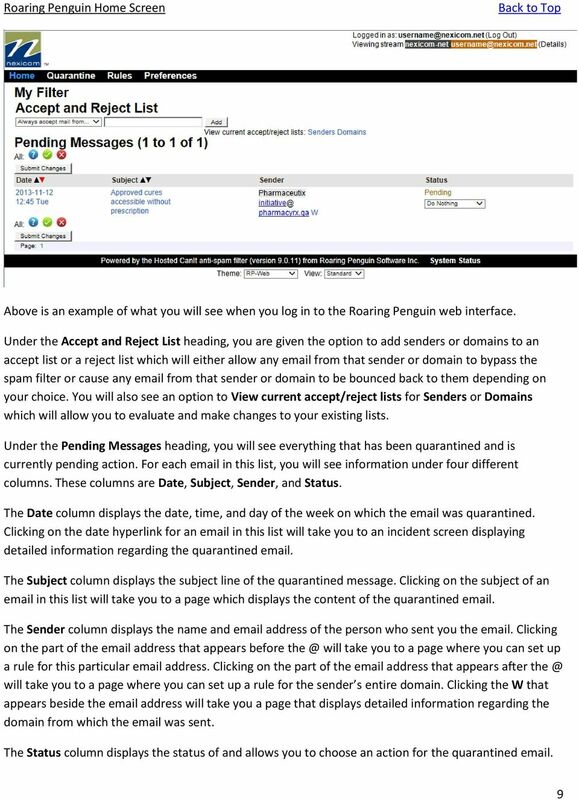 MySpam email filtering service Protection against spam, viruses and phishing attacks 1. 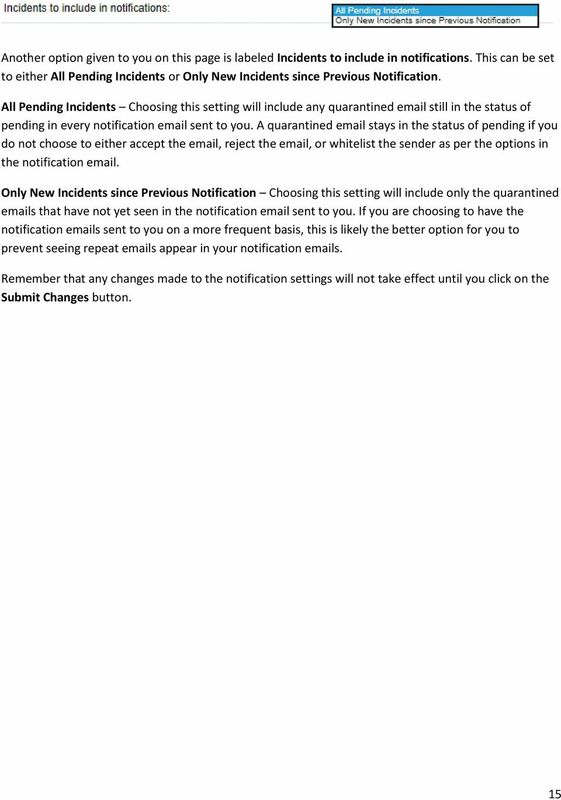 Introduction This MySpam guide describes the new service and changes to the University s current spam handling procedures. LOGGING IN. 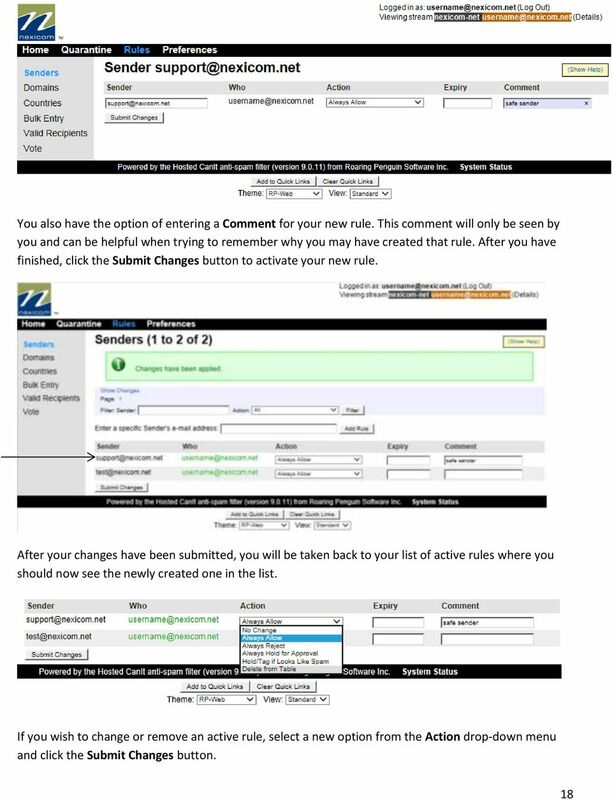 Please take a moment to add this page to the favorites in your preferred Web Browser. ( https://asp.reflexion. 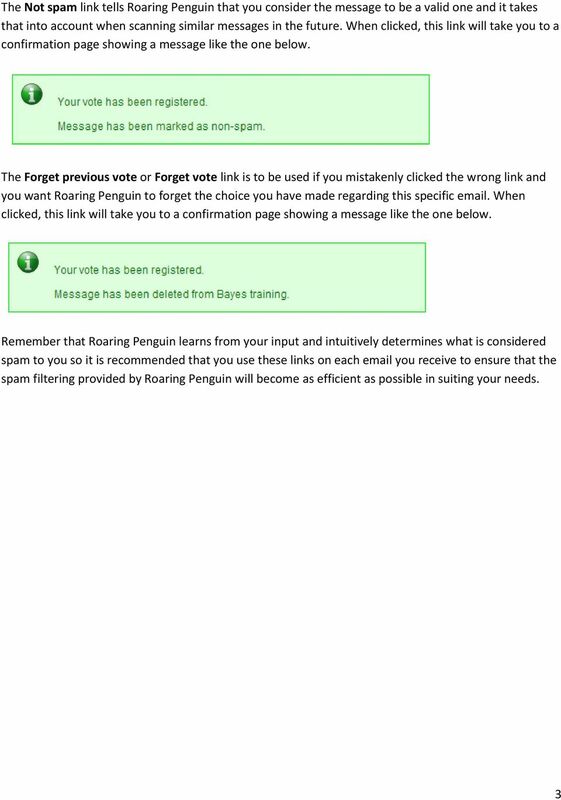 Forefront Spam Filtering What s Happening? 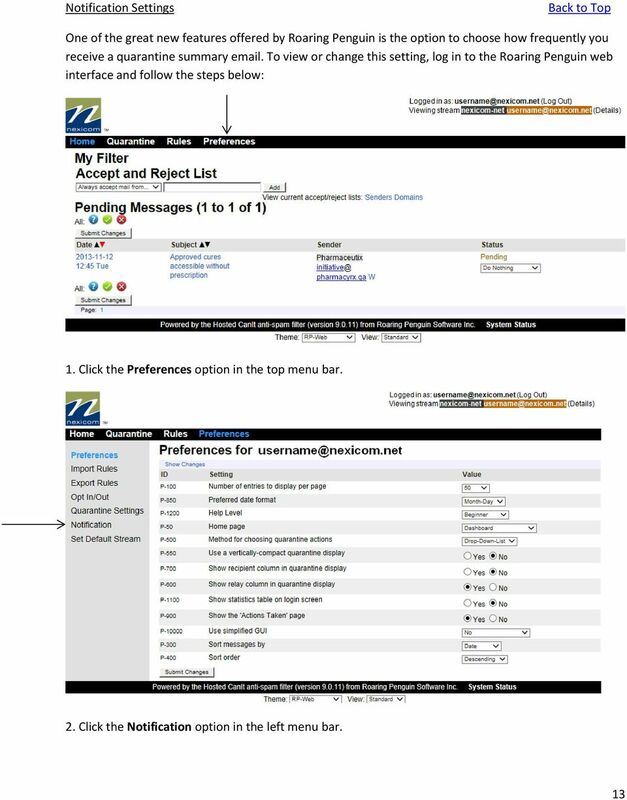 W&L s incoming e-mail filtering system has switched from Digitar to Microsoft ForeFront as of about 6:00 a.m. on Tuesday, August 14. How Will This Affect You? 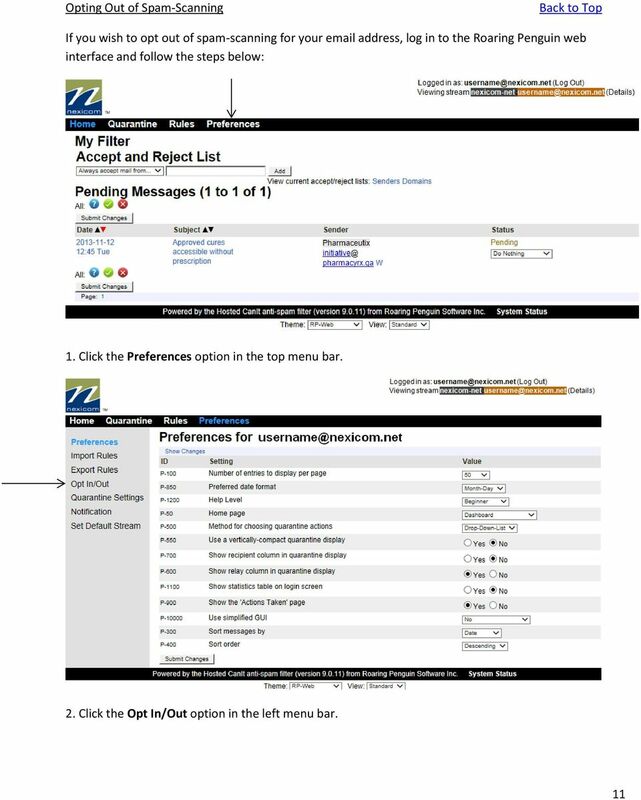 Overview of Registered Envelopes A Registered Envelope is a type of encrypted email message. 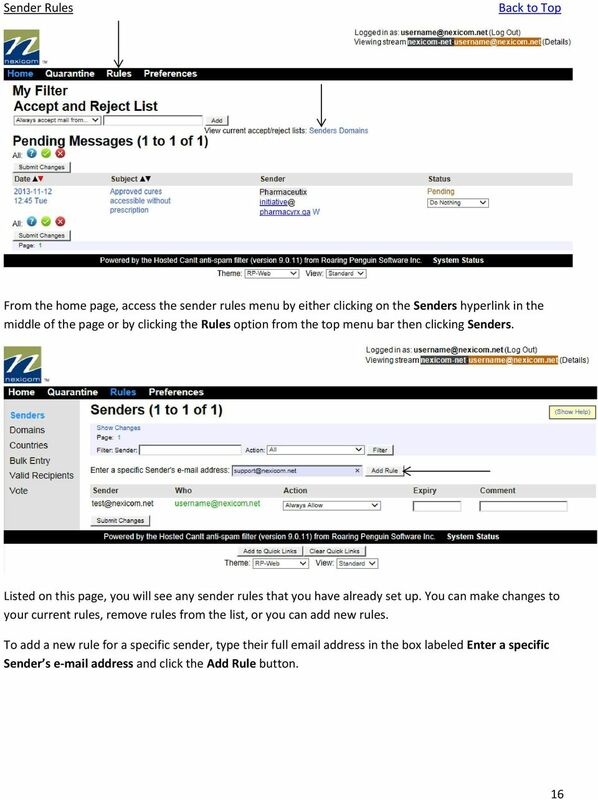 Some Registered Envelopes are password-protected, while others are encrypted but do not require a password.